Excessive weight or obesity has become a growing public health problem worldwide. 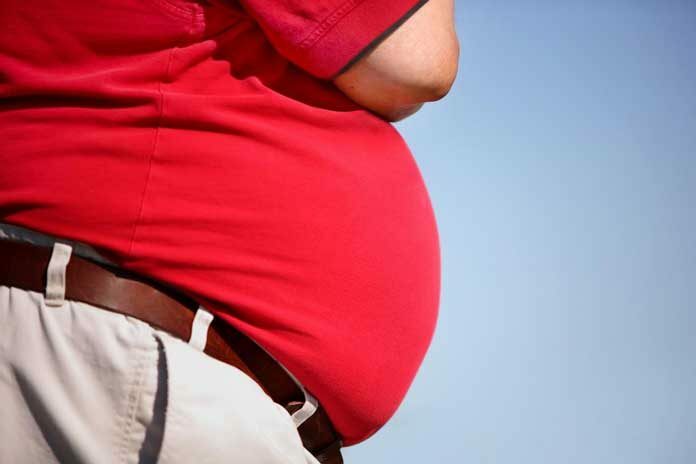 India is now being considered among the top five nations with highest number of obese people. In fact, undernutrition due to poverty that dominated the nation in the past, is now replaced by obesity and overweight. The reasons behind increasing prevalence of obesity are very clear as our modern lifestyle is becoming more and more sedentary. Sitting jobs, smoking, eating junk food, lack of exercise, and increased mental stress is taking a toll on our health. The modernization is needed and accepted, but technology is a double edged phenomenon. While the machines have made our work easier, we are also becoming more sedentary with time. We no longer work in the fields, walk distances, or even do any difficult housework unlike our ancestors and that is showing up in terms of bulging bellies, increased body weight, lethargy and mental illnesses. Diet too has had its role in making us obese. The newer generation prefers munching on fatty, oily, calorie rich food that is a symbol of trend and also available easily. The reports reveal that the Indian market for fast food chains was an estimated $2.5 billion in 2013 and is expected to grow to $8 billion in 2020. It is a well-known fact that being overweight or obese increases your chances of developing some chronic illnesses. These illnesses mainly include heart diseases, diabetes, cancer and pain conditions. Therefore managing weight and reducing body fat is an integral part of management strategies for almost all the common lifestyle disorders. This article explains how Ayurveda helps us to treat obesity and lose body fat without any surgery or need for heavy workouts. Obesity refers to a condition where there is excess amount of fat in the body. The fat deposition occurs when the amount of calories consumed is much higher than the amount of calories burnt. Earlier obesity was considered as just a stage or state of body, however recently the American Medical Association declared it as a disease. And, then the medical community has taken it very seriously. People who are obese are at risk of developing several illnesses and hence weight loss has become the most important part of management of any lifestyle disorder. Weight loss indicates loss in body fat or adipose tissues that results in leaner physique. It occurs when the body starts expending more energy in work and metabolism than it is absorbing from food or other nutrients. Eventually the body starts using stored reserves of fat or muscle as a source of energy and gradually leads to weight loss. Weight loss may either be intentional or may occur due to some underlying conditions. Intentional weight loss can be achieved with decreased calorie intake and is also commonly termed as slimming. Intentional weight loss is recommended for obese individuals to decrease their health risk. Lifestyle modifications, such as diet and exercise are essential for both prevention and management of obesity. Although there are few medications or bariatric surgeries available as an option, these are suggested only for extremely obese individuals who have a high risk of developing health issues. Dietary supplements and crash dieting form the other most advocated and practiced mode of intentional weight loss option. However these need to be taken only after medical opinion. Ayurveda describes obesity as Sthaulya or Medo roga. The increased Medas or fat increase the digestive fire and the person keeps eating more and more. Therefore Ayurvedic weight loss therapies focus on correcting the digestive fires and then prescribing some oral herbal medications that break down the stubborn fats. Ayurveda also offers some excellent weight lost therapies such as udvartanam and panchakarma bastis to remove the excess fat from the body. Udvartanam or powder massage is a specialized Ayurveda herbal massage treatment for effective weight reduction. A herbal paste / powder is applied all over the body and deeply massaged with specific movements. The massage stokes helps to melt the fat and oral medications helps to remove it through the elimination channels. How do Basti treatments work? Basti forms and important part of panchakarma treatment. Sneha Basti is performed using oil enemas, whereas kashaya basti uses herbal extracts or decoctions. The basti treatment helps to cleanse the colon and get rid of excess fat that gets mobilised after the powder massage. The basti treatment also helps to get rid of toxin build up and excess vata from the body. Since Ayurveda is a holistic science, it also recommends diet changes and exercise regimen to reduce body fat.